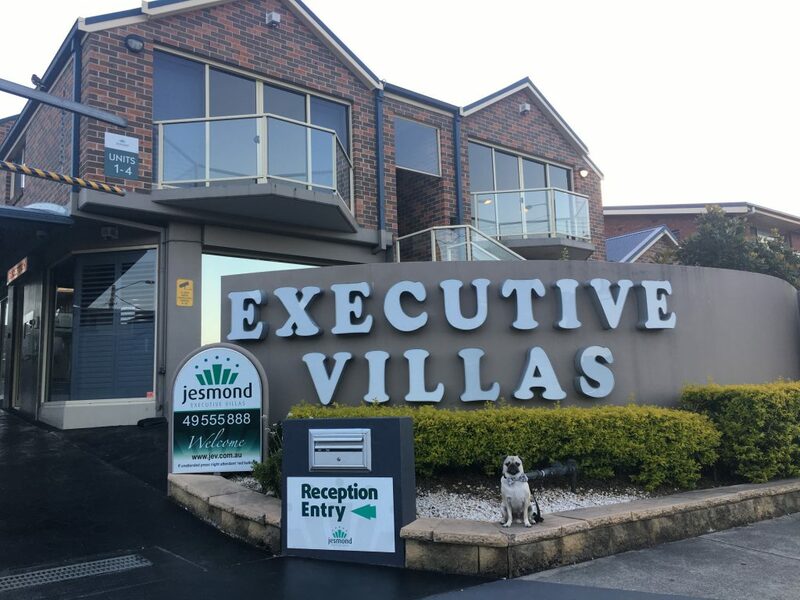 Welcome to Jesmond Executive Villas! 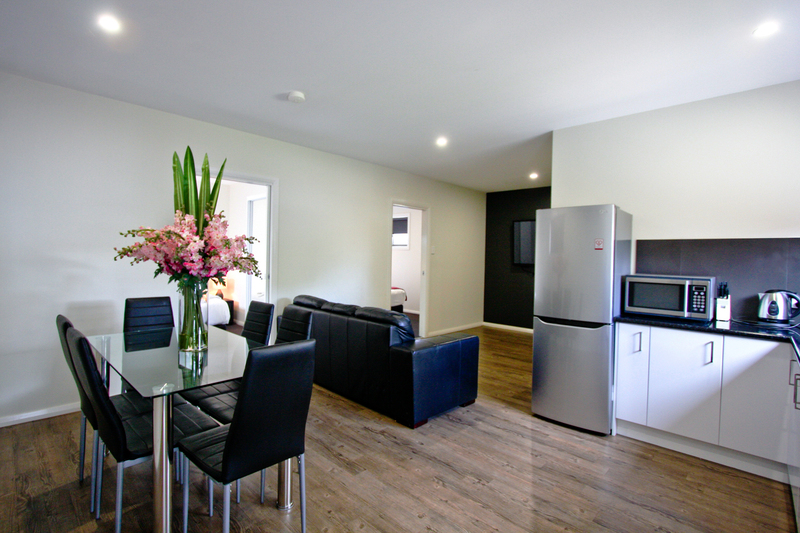 Our contemporary styled apartments are central to Newcastle CBD, Lake Macquarie, and Port Stephens areas, and only 40 minutes’ drive from the beautiful Hunter Valley. 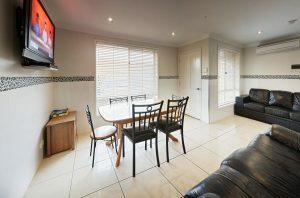 Whether you are visiting for leisure or business, Jesmond Executive Villas is the perfect base for short or long term stays. 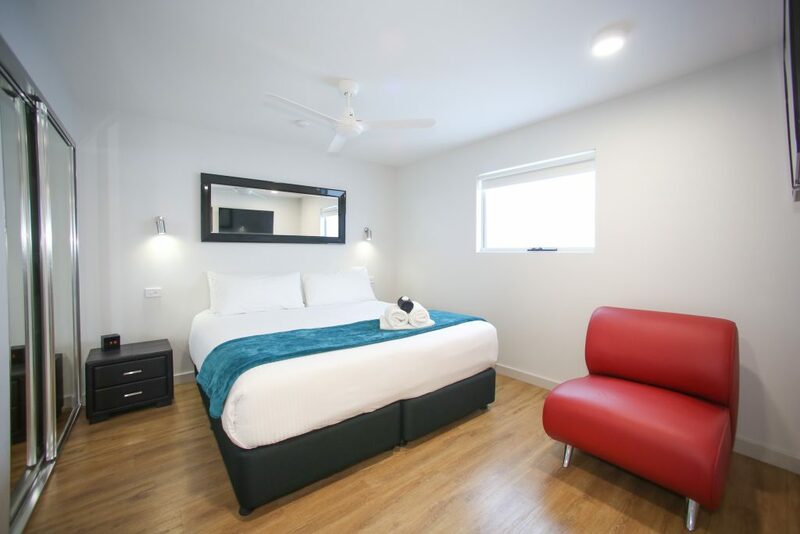 We are conveniently located within walking distance to Stockland Jesmond shopping centre that hosts various cafes, shops, restaurants and public transport. The Newcastle University is only 5 minutes’ drive, along with their gymnasium, The Forum, that has an Olympic pool and 25 metre indoor climbing wall. We are conveniently located only 7 minutes’ drive to John Hunter Hospital, being the perfect base for any medical appointments. 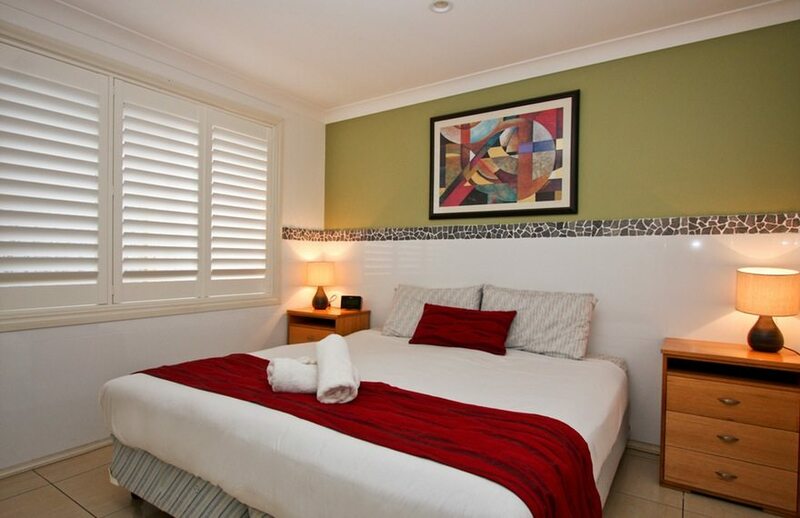 Located 15 minutes off the freeway, we offer studio, one bedroom, two bedroom, 3 bedroom and home style apartments. 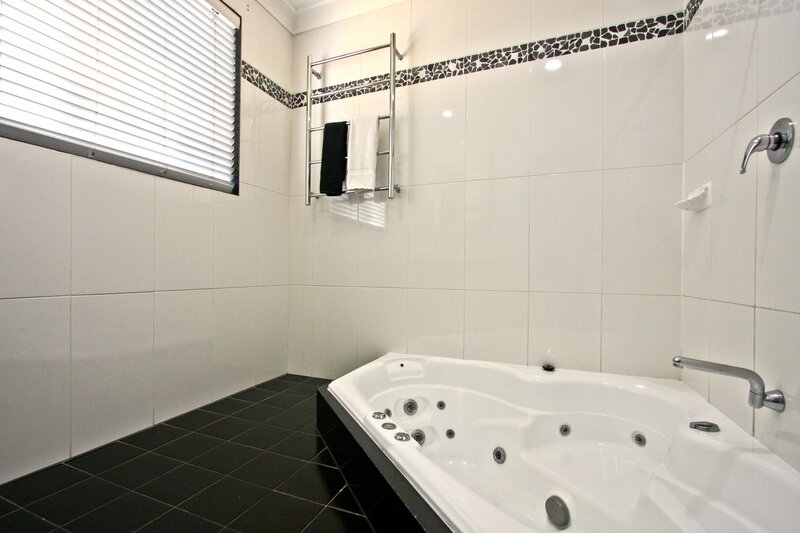 Some apartments even offer a luxurious spa! 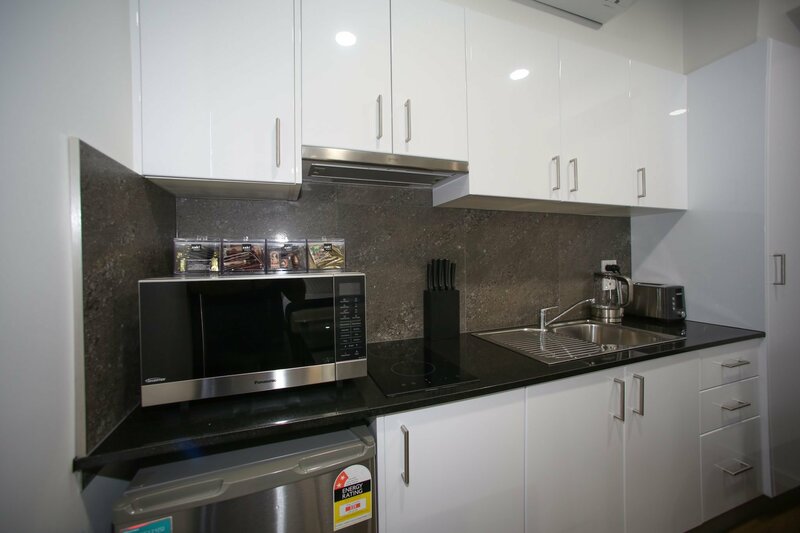 Our facility has 24 hour digital surveillance, Foxtel, split system air conditioning, internal laundry and most come with a fully equipped kitchen. 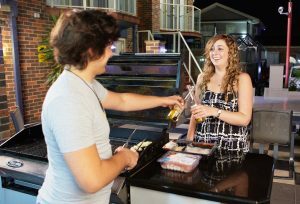 Our onsite facilities also include a pool, spa and BBQ area to enjoy with family or friends. Reception is open 7 days, Monday to Saturday from 8:30am to 8:30pm and on Sunday from 9:00am to 8:00pm. For assistance dial 9 on the phone in your room. Standard check-out time is 10:00am, with later check-outs available on request, subject to availability at a rate of $20 per hour until 1:00pm. Please advise Reception in advance if you wish to check-out after 10am. 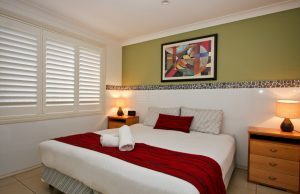 Jesmond Executive Apartments upholds a 72 hour cancellation policy. Yes, we take a credit card pre-authorisation on check-in. 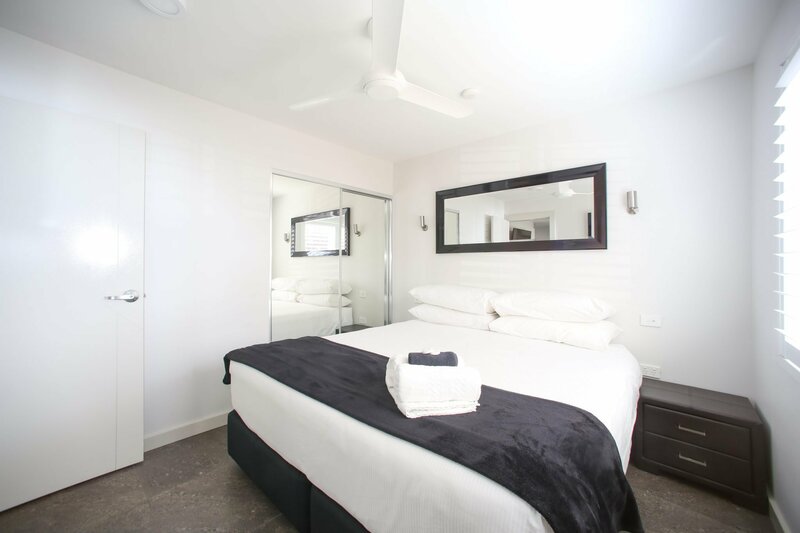 We have round the clock CCTV cameras on the property, as well as staff available throughout the night for any problems or emergency assistance. Yes, we have off-street parking available, however spaces are not allocated. There is plenty of room around each apartment to pull up and unload your car if you cannot get a park directly at the door. Each room receives free Wi-Fi. Our apartments are serviced once a week. However, we are able to service the apartment more frequently for an additional charge. Please contact Reception for more information. Simply dial 0 to get a line out. What are the hours for your pool area? The pool is available for guest use between 8:00am and 9:00pm daily. Use your room key to access this area. Do you supply items for the BBQ? The use of the BBQ and tools require a $50 deposit. Your deposit will be returned when you return the tools to Reception and the area is left clean. 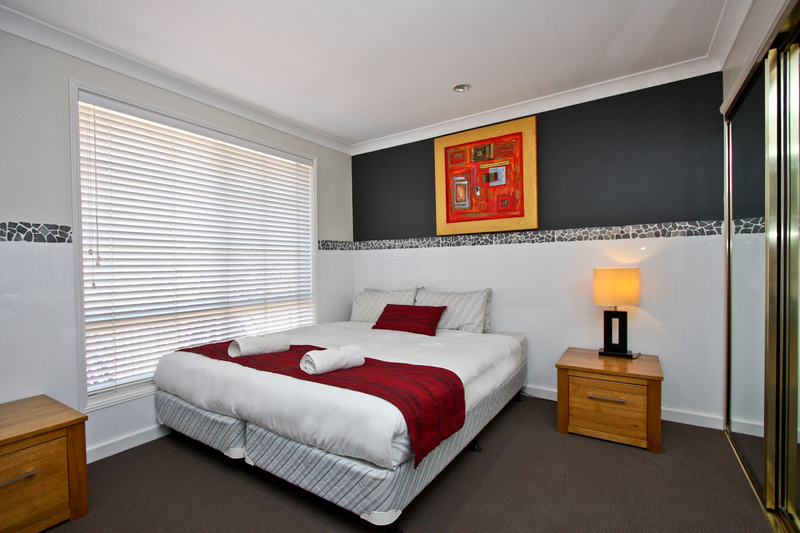 We have a spa suitable for use by one person, or a corner spa which can cater up to two people. How do we use the Laundry? The Laundry is located at the top of the main driveway. The cost to use the washing machine or dryer is $6 respectively. The laundry facility does not accept cash payments. 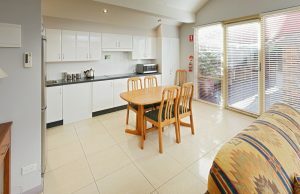 Eftpos and credit card facilities are available. No soap is required, the machines automatically feed in Easy Wash, AutoSoft and Chlor 12. What Foxtel channels are there? 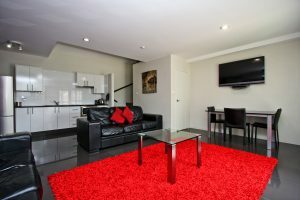 You have pet friendly villas? 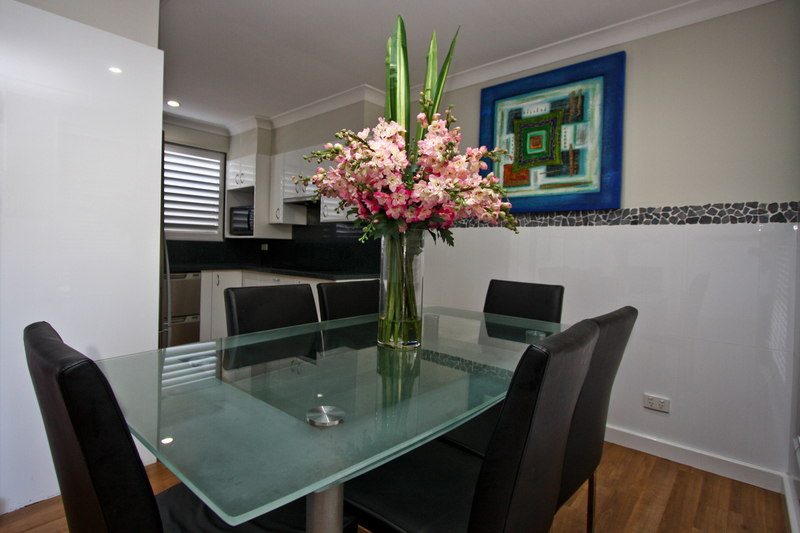 Yes, we do have pet friendly villas available upon request. 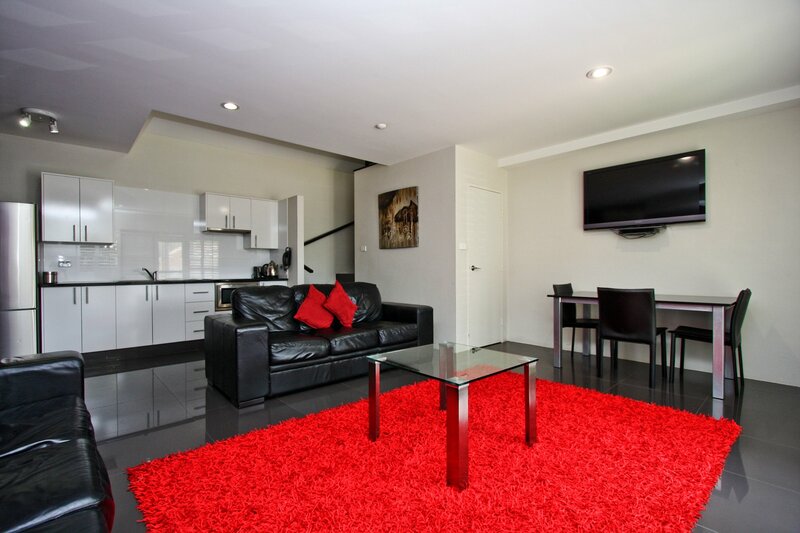 Check our One Bedroom Budget Pet Friendly Apartments for details. Pack the essentials – don’t leave home without a pet carrier (where necessary), food, water, bowls, a leash (and harness), collar with tags (displaying your contact details), baggies for clean up and a litter box and litter if you are bringing your feline friend. Check the collar I.D – be sure that your pets tags have current contact information on it. Pet harness – it’s safer for your animal when they are restrained, either in a pet carrier or by a secure harness. You can find seat belt adapters, car seats and cargo barriers at most leading pet stores. Stay with Newcastles favourite provider of apartment accommodation. 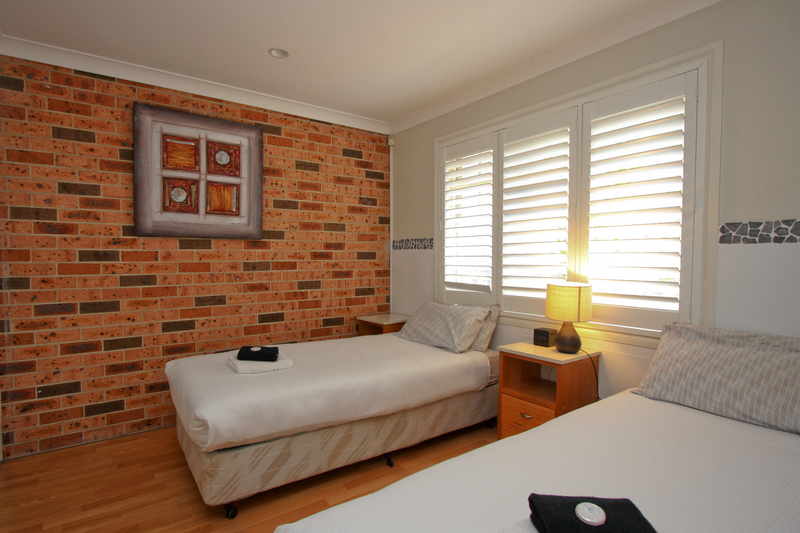 We are a local, family owned business working diligently to make our guests comfortable, relaxed and delighted. Apartment and motel style accommodation for short or long stays of families, groups, individuals, tourists, business travellers and event attendees.